Established in 1916 in Portland, Oregon, Jantzen is an iconic brand of swimwear that brings to mind the nostalgia of the post WWII era. 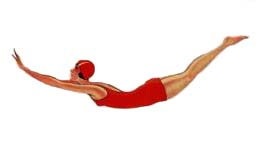 The Jantzen “Diving Girl” was the feature of the brand which showed a young woman in a diving position, with outstretched arms and arched back, wearing a red one-piece swimsuit and matching hat. Originally named the Portland Knitting Company in January 1910 by founder John A. Zehntbauer and Carl Jantzen, the company initially produced knitted goods such as sweaters and woolen hosiery. In 1913, the founders, who were also members of the Portland Rowing Club, were asked to make a special rowing suit and later a bathing suit for use by the team on chilly Portland mornings. They experimented with lighter weight wools and a new needle bed for their sweater machine that would be fine enough to knit a rib-stitch bathing suit. They even tested their own bathing suits in swimming pools and rivers to finally develop the proper swimming suit that eventually became the prototype for the rib-stitch swimsuits that were first produced in 1915. The “Jantzen” name was established by using the combination of both names Zehntbauer and Jantzen, “Jan-Zen” without the hyphen (another consideration was the name “Portknit”). The new brand name now needed a strong advertising campaign to promote their new bathing suits. 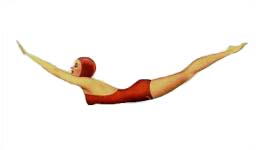 Following World War I, the “Red Diving Girl” graced the pages of Vogue and Life Magazine, setting into motion the adaption of the diving girl as the logo for the company and eventually becoming a recognizable brand worldwide. Also during this time, Jantzen began to promote the idea of the swimsuit over the bathing suit, leading to the tag-line” The Suit That Changed Bathing to Swimming”. 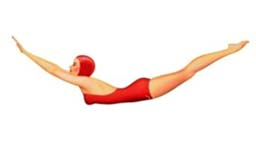 The iconic “Red Diving Girl” was the product of designs by Frank and Florenz Clark. First appearing in advertisements in 1920, by 1923 she was a mainstay on all Jantzen swimming suits. Recognized as one of longest lived apparel icons, her image has changed little over the years. By 1932, Jantzen was the seventh most recognized trademark in the world thanks in part to the establishment of overseas manufacturing facilities and sales teams, most notably in Europe. The company added sweaters, girdles and active wear to its swimwear line in the late 1940s. Throughout the 1970s and 1980s, Jantzen continued to make advancements through materials by working with nylon and spandex. These materials added stretch to the swimsuits without losing their shape. The company has gone through many corporate changes throughout the years. Jantzen was purchased in 1920 by Blue Bell, which was later acquired by Vanity Fair Corporation in 1986. Unfortunately, this proved to be a disaster for Jantzen, and the company struggled greatly through the 1990s. By 1995, the menswear line was dropped in an effort to return the company to its original roots in swimsuits. Perry Ellis International, Inc. purchased the Jantzen trademark in 2002.